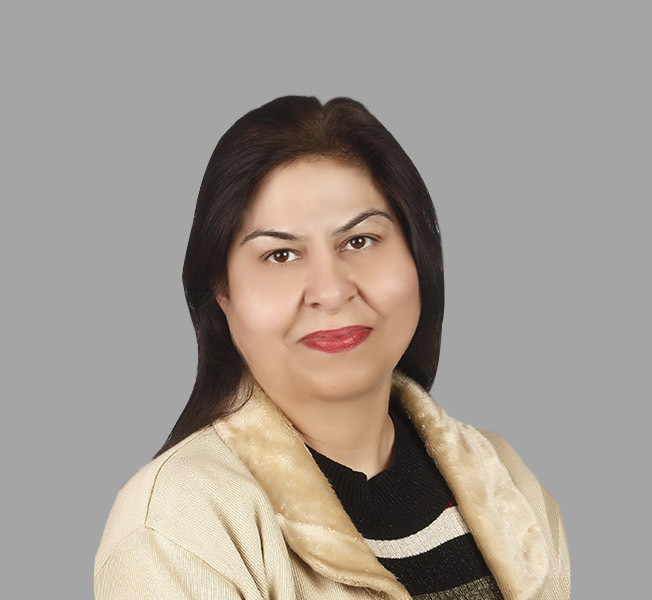 Mrs. Sharma has an accomplished background that spans across CBSE and ICSE Boards and multiple educational institutions covering the three management formats – government, private, and PPP. She specialises in School Administration, handling Affiliation Processes, Audits (Financial as well as Academic), Recruitment, Teacher and Administrative Staff Appraisal, Trainings, Policy Formulations and Community Connect. 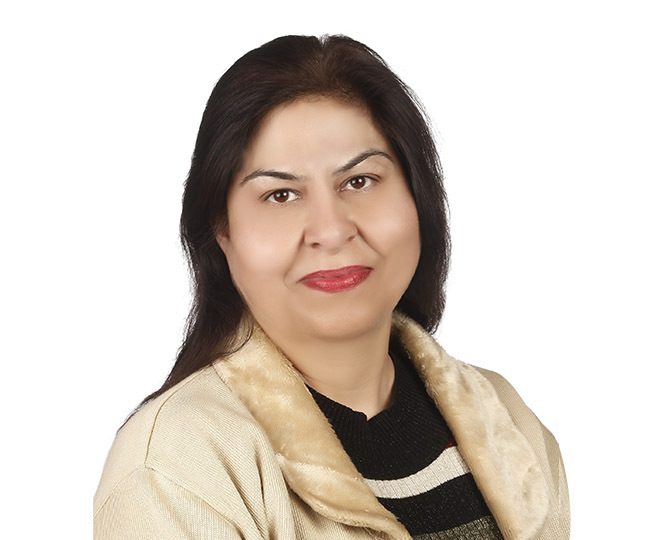 She has over 27 years of rich experience in education sector and considerable part of her work experience has been with DAV school and as the Founder Principal (for over 6 years) of the prestigious Satya Bharti Adarsh Sr Sec School, Jhaneri, Sangrur, Punjab. It is a school operated by the Bharti Foundation, promoted by Airtel, and Govt. of Punjab Joint Venture in PPP (Public-Private-Partnership) Mode. The campus of IWS Ludhiana is a part of a massive 100 acres township along the canal road. Rajgarh Estates is a Rajasthani theme-based township designed by DLQ, Singapore. The school is located barely 7 kms away from the city centre. Indus World School is the only school in Rajgarh Estates township. The school is affiliated with CBSE board. The infrastructure of the school is magnificent as the school building is designed in the form of a royal fort and along the theme of the entire township. The campus has big playground and plenty of area for various outdoor activities for the students. IWS Ludhiana is well equipped with modern and latest technology driven infrastructure to ensure that all the students get personalised learning. All the critical areas are covered by CCTV with a central monitoring and recording facilities. The school is affiliated with CBSE board and is known for its academic achievements as well as accolades that the students bring in various state and national level sports competitions.